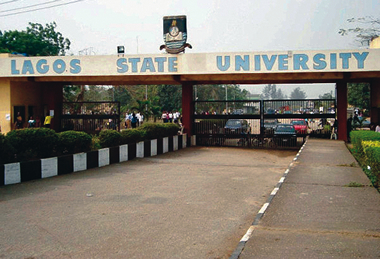 IBADANâ€”AS the Academic Staff Union of Universities, ASUU, began its strike, yesterday, academic activities at the University of Ibadan, Ladoke Akintola University of Technology, LAUTECH and Federal University of Technology, Owerri, FUTO were totally paralysed. Meanwhile, students of the Obafemi Awolowo University, Ile Ife, were thrown into dilemma following a division among lecturers in the institution. UI Students, who should have resumed lectures as from 7am, were seen in their halls of residence playing table tennis and watching films. ASUU chairman UI, Dr Deji Omole encouraged his members to be resolute in their fight for the future of the Nigerian child. To ensure strict compliance, he set up a monitoring committee led by Professor Gbenga Olujide. Vanguard observed that due to late information on the suspension of the strike earlier fixed for yesterday, some non-teaching staff of the institution did not report for duty. Similarly, students of the Obafemi Awolowo University, Ile Ife, were thrown into dilemma after the schoolâ€™s branch of ASUU held its congress. However, some lecturers of the same university, under the banner, Congress of Nigerian Universities Academicians, CONUA, vowed to continue the running of day to day activities in the school. Meanwhile, the National Association of Nigerian Students, NANS, yesterday, gave the Federal Government seven days ultimatum to implement the agreement reached with ASUU. The studentsâ€™ body threatened to embark on protest if the government failed to meet up with the demands of the ASUU before the deadline. Speaking with newsmen at the Nigeria Union of Journalists, NUJ, secretariat, Abeokuta, the National Public Relations Officer of the association, Azeez Adeyemi said: â€œWe will not fold our arms and allow our institutions to be shut down for months again because of Federal government insensitivity and lackadaisical approach towards education at all levels in Nigeria. â€œAs majority of the wards of those whose immediate responsibility is to ensure adequate funding of education in Nigeria are schooling in choice universities abroad and they donâ€™t give a d**n even if our institutions are closed for decades. â€œA situation where the ruling APC government shield their members and supporters from being investigated after submission of petitions against some of their stalwarts is not acceptable to us as stakeholders in the Nigerian project.